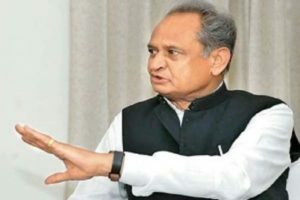 In a bureaucratic reshuffle on Thursday the Rajasthan Government has transferred or given additional charge of departments to as many as 19 bureaucrats in the state. In the government order, which came into effect on February 7, Rajiv Swaroop, who is currently serving as the Additional Chief Secretary (ACS) Home, Home Security and Jail, has been asked to take the additional charge of the State Transport Department. As per the order, Pawan Kumar Goyal, Commissioner Agriculture Production and Additional Chief Secretary Agriculture and Horticulture, will now also hold the additional charge of Animal Husbandry, Fisheries and Gopalan Department. Dr. R Venkateshwaran, who had been serving as the Pricipal Secretary Animal Husbandry, Fisheries and Gopalan Department, has now been given the new charge of School Education, Language and Library Department along with the Department of Panchayati Raj. Dr. Venkateshwaran will replace Bhaskar Atmaram Sawant, who has now been transferred to Urban Development and Housing Department as the Principal Secretary. Ashwini Bhagat, Pricipal Secretary, Ayurveda and Indian System of Medicine has been asked to join as the Director, Harishchandra Mathur Rajasthan State Institute of Public Administration and Ex-officio Principal Secretary (Training). Rajesh Kumar Yadav, Secretary, Labour and Employment, Skills, Factory and Boiler Department, and Medical and Health Services (ESI) Department has now been made Secretary and Commissioner, Transport Department. Hemant Kumar Gera, while retaining his post as Secretary Medical Education, has been given the additional charge of Ayurveda and Indian System of Medicine. Navin Jain, who was serving as the Labour Commissioner, has been appointed Secretary, Labour and Employment, Skills, Factory and Boiler Department, and Medical and Health Services (ESI) Department, replacing Rajesh Kumar Yadav. Shuchi Sharma, Secretary, Social Justice and Human Rights Department, will now hold the post of Managing Director Rajasthan State Road Transportation Corporation, according to the order. Dr Veena Pradhan, Administrator, Rajasthan State Agriculture Marketing Board, has been given the additional charge as the Managing Director of Rajasthan State Warehousing Corporation and Administrator. Ambrish Kumar, Land Management and Ex-officio Director Protocol, will now hold the post of Commissioner and Special Secretary Information Technology and Broadcasting Department. Matadin Sharma, who held the post of Additional Secretary Food and Public Distribution and Consumer Affair, has been asked to join the Excise Department as Additional Secretary (Administration). P. Ramesh, Special Secretary, Energy Department, has been given the additional charge as the President and Managing Director of Rajasthan State Power Generation Corporation Limited. V. Sarvan Kumar, Memeber Secretary, Rajasthan State Commission for Protection of Child Rights, will be the new Director of Science and Technology Department, as per the order. Dr. Om Prakash, Project Director, Rajasthan Agriculture Competitiveness Project, has been given the additional responsibility as the Managing Director of Rajasthan Cooperative Dairy Federation Limited. Sanvarmal Verma, who had been serving as the Managing Director, Rajasthan State Road Transport Corporation, has been asked to join as the Commissioner of Social Justice and Human Rights Department. Rajendra Kishan, Additional Director (Scholarships and Hostels), Social Justice and Human Rights Department, will be joining the Food and Public Distribution and Consumer Affairs Department as Additional Director. Rashmi Gupta, Additional Commissioner (Administration), Excise Department, has been transferred to the Food and Public Distribution and Consumer Affairs Department as Additional Commissioner. She will also serve as the Ex-Officio Director of Consumer Affairs and Managing Director Rajasthan State Food and Public Distribution Corporation. Piyush Samaria, CEO, State Health Insurance Agency, has been transferred to Rajasthan State Power Generation Corporation Limited to serve as its Managing Director.